This is a customer return as they ordered the wrong model. Units are in mint condition & they have not even been used. Full 12 month warranty. 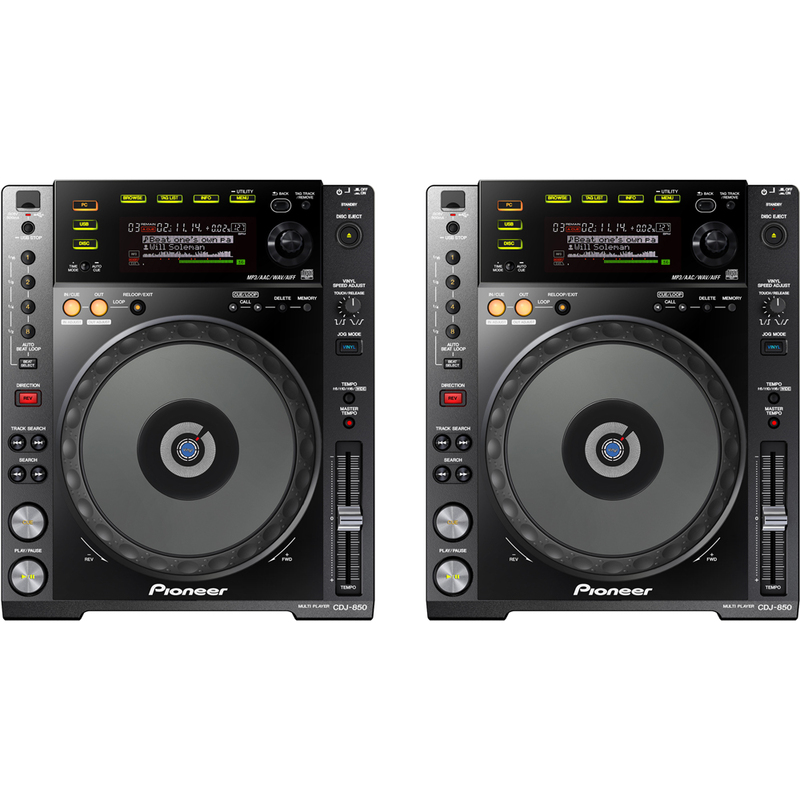 Replacing the CDJ-800MK2, the CDJ-850 offers some major enhancements over its predecessor. This deck is designed to feel and function like a CDJ-900NXS or CDJ-2000NXS and is Rekordbox enabled, while maintaining an affordable price. Intentionally designed to feel and function like other CDJ models further up the range, the CDJ-850K will give that all important reassurance when turning up to a gig with other CDJ models in the booth. And just as budding DJs practiced on the CDJ-800 at home in preparation for their club gigs on the CDJ-1000, the CDJ-850 is set to become the new training ground for DJs hoping to break it on the club circuit. 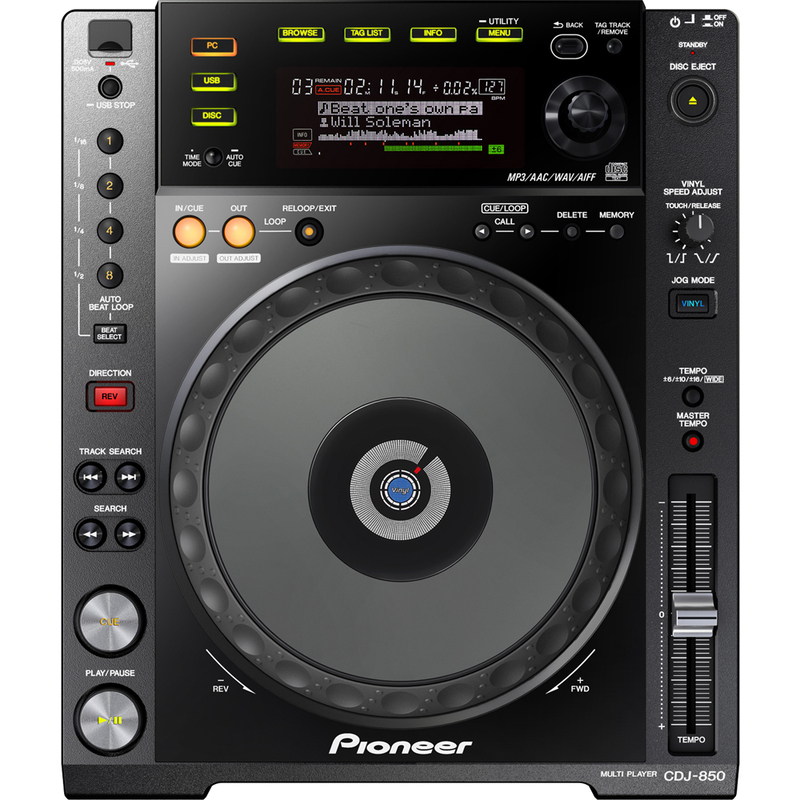 With its full-sized jog wheels, large screen and pro-DJ features, it feels and functions like a CDJ-900NXS or CDJ-2000NXS – without the top-flight price tag. 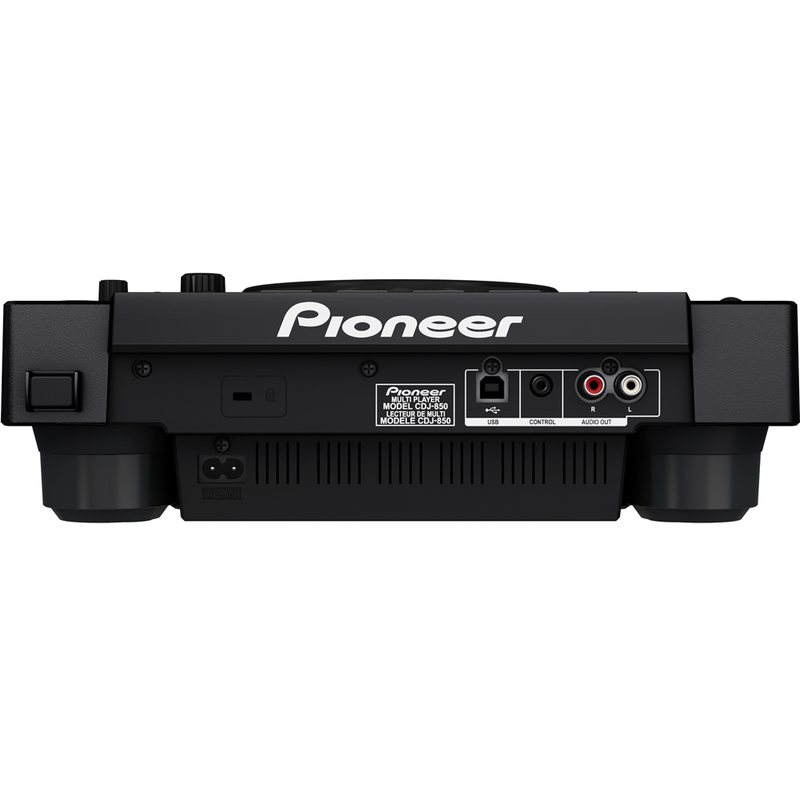 The CDJ-850 is Rekordbox ready or you can use the USB-HID interface to control the DJ software of your choice. 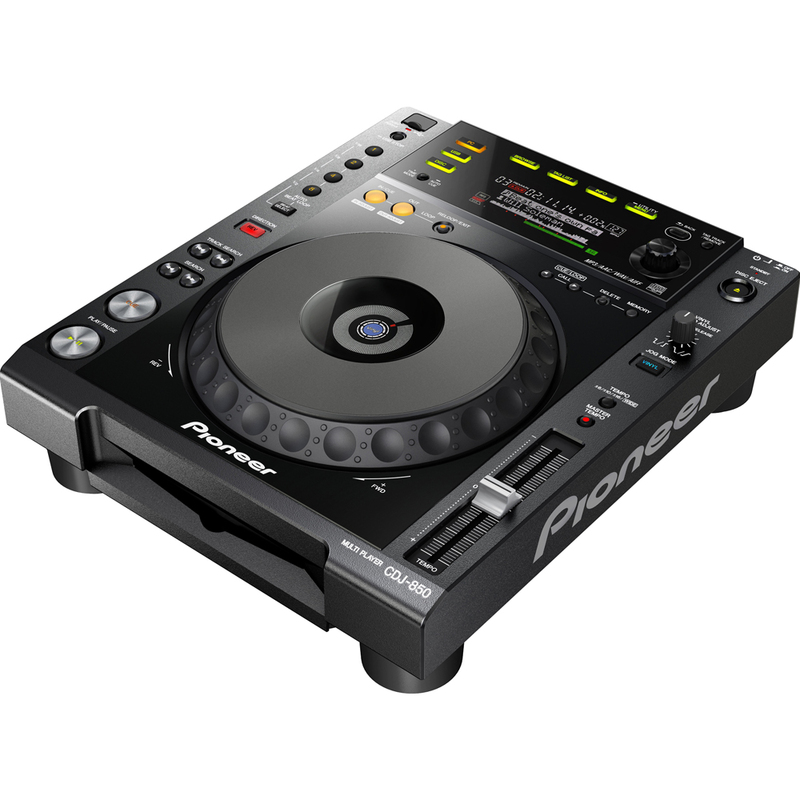 Retains most of the principal functions from the industry club-standard CDJ-2000, such as the 206mm jog dial and large screen. 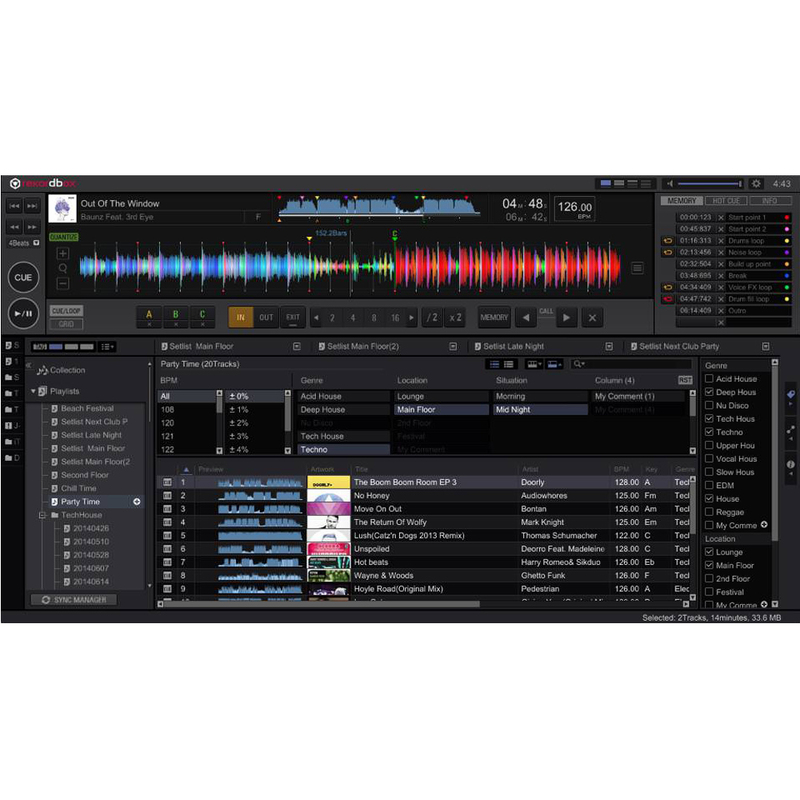 Incorporates Rekordbox, allowing the creation and editing of playlists pre-gig, and recalling cue and loop settings for more inventive DJing. Auto beat loop function, tempo variation, CD ‘resume’ function and vibration resistance are just some of the other additional features. Analyse tracks to retrieve BPM info and store it in the ID3 tag for use on compatible players. Preview the waveform of tracks directly from the playlist to find breakdowns and drops quickly, and play from a point of your choosing. Set and store point information for cueing, looping, and hot cueing. Use to 2-Player mode to mix in the software check the compatibility of your tracks. Match tracks for future reference or let rekordbox suggest related tracks – based on key, BPM, and genre. Create and add tags to tracks (or choose from pre-sets) to find them quickly later. View and edit up to 5 playlists simultaneously. Easily record and store your analogue sound sources using our normalize technology. There’s no need for extra volume or recording monitoring as this is done automatically by a single click in the software.